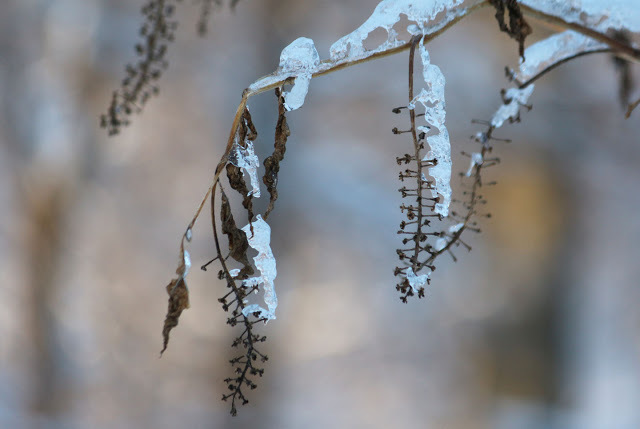 Plants are not silent in winter. Walk with me to listen to them. To me a winter walk is like being backstage before the show starts. When I was still performing (as an opera singer) I was always amazed that the audience knew so little of what went on behind that heavy curtain, and in the wings. But winter is what is necessary for the razzmatazz of spring. 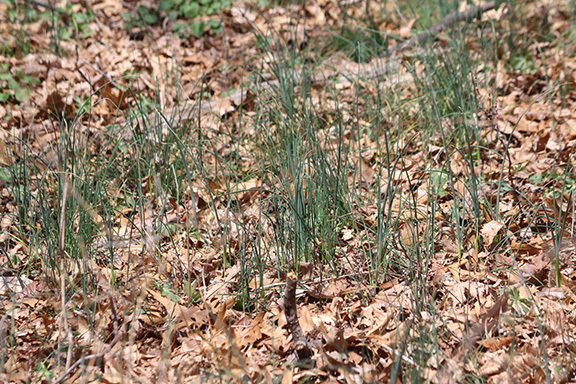 Appreciating the apparent rigor of the frozen and dormant plant world is key to celebrating its resurgence in spring. 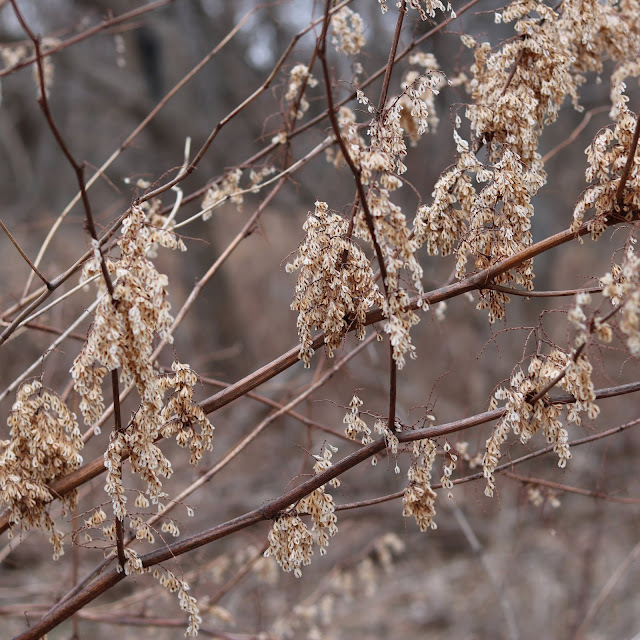 Winter for foragers is a chance to map what is good, for the week and months to come. 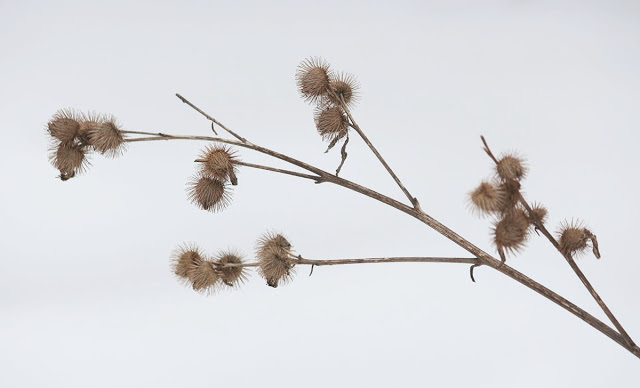 Winter burs mean delicious burdock stems in May - the plant grows in colonies. We will learn to recognize the signs that wild foods leave us:; learn them here and you can apply your pattern recognition anywhere. A dry stalk is really April's pokeweed, a brittle stick is an excellent and aromatic mugwort kebab skewer, a rattling seedhead is juicy Japanese knotweed in a few weeks' time - so that we can find them again in spring. We will scratch and sniff spicebush twigs, pounce on winter's delicious field garlic leaves, and read the stories that bark tells. 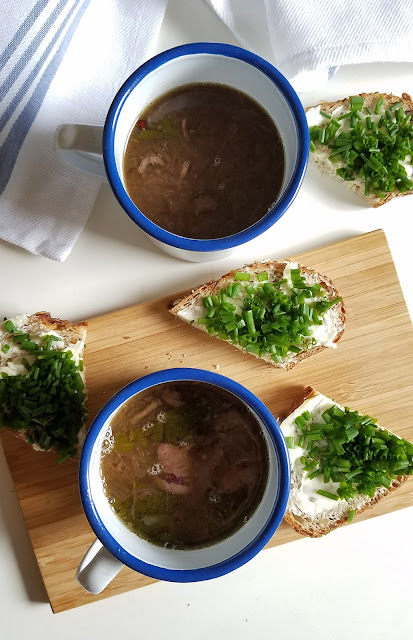 And then we will enjoy a warming picnic of hot soup (tomato and spicebush? hen of the woods, above? - yes, the recipes will be from Forage, Harvest Feast!) and watercress hand pies as we stamp our double-socked feet. Meet up and route-details will be emailed to you in the week before the walk. For other late winter-early spring walks please visit my Forage Walks and Classes page. You've brought me to see the urge to forage as part of the greater human need to interact, pick up, touch and take in a culture that has prescribed a leave no trace, take only pictures experience of the natural world. Nature is so much more than the view.